The Northwest Tea Festival (first held in the fall of 2008) is a unique gathering of tea lovers, fanatics, providers and consumers. It is planned and staffed by volunteers, all tea lovers coming from a diverse background. Over two days, tea is discussed, dissected, tasted, debated, amplified and reduced to its basic element. Festival attendees are presented a number of opportunities to sample dozens of teas provided by vendors and at focused tea tastings. They will be able to participate in workshops and presentations on tea and expand their knowledge, experience and enjoyment of this wonderful beverage. Our main mission is to - Connect people and enrich lives through tea, by providing a diverse range of educational and cultural experiences. Based in Seattle, Washington, this event has vendors and presenters coming from all over the United States (Washington, Oregon, Connecticut, California, New York, Alabama, Georgia and Nevada) as well as internationally from tea producing countries such as Japan, Taiwan, India, and China. 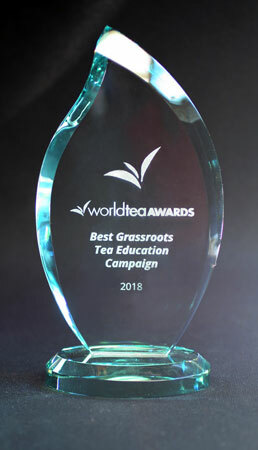 On June of 2018 the NW Tea Festival was honored during the 2018 World Tea Expo with an award for being the Best Grassroots Education Campaign. This award acknowledges all the hard work and countless hours our volunteers have contributed to create one of the premier educational events for tea in the United States. It is great to be honored this way by the tea industry and other tea educators. Are You Interested In Being A Tea Tasting Leader? Tea Tasting Leader information packet. All are welcome. If you are interested contact Doug Livingston. Registration for the 2019 NW Tea Festival is now open. The below documents apply to the 2019 festival. Download the Tea Vendor 2019 Registration Packet. Download the Craft Vendor 2019 Registration Packet. Download the Frequently Asked Questions About Exhibiting. The Northwest Tea Festival is a project of the volunteer organization Puget Sound Tea Education Association (PSTea), a not for profit organization based in Washington State. The Northwest Tea Festival is a 501c3, not for profit Corporation, and all contributions and donations are tax deductible. Make a financial gift online to help support the festival.